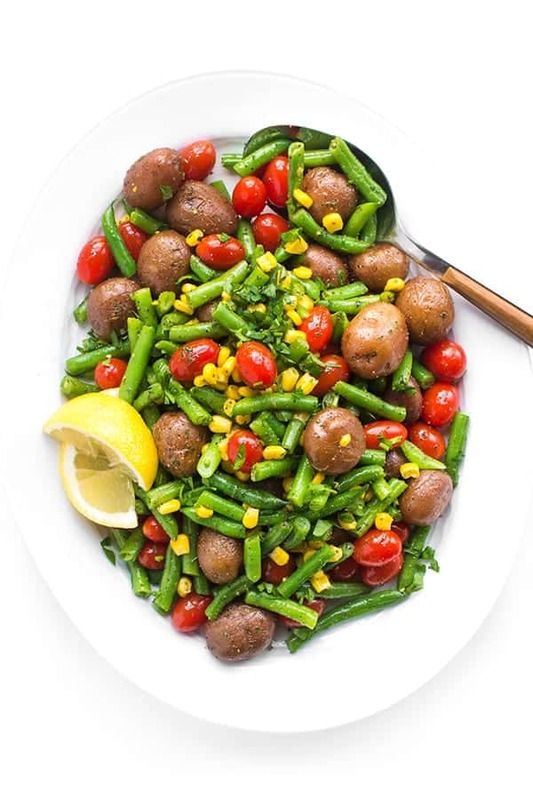 This simple and flavorful pasta salad is made with just a few simple ingredients including whole wheat pasta, pesto, green beans and corn. I love eating seasonally because when you food that is fresh and at peak freshness it requires very little work on your end. 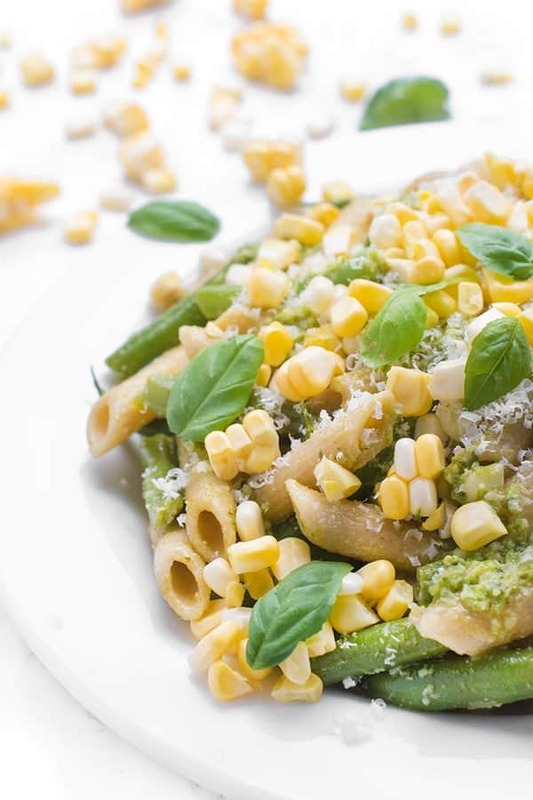 Case in point: this simple five ingredient pesto pasta salad made with sweet corn and fresh green beans. Basil is often growing like weeds this time of year so I always have a batch of my homemade pesto on hand or in the freezer to quickly toss into pasta, soups, salads and more. 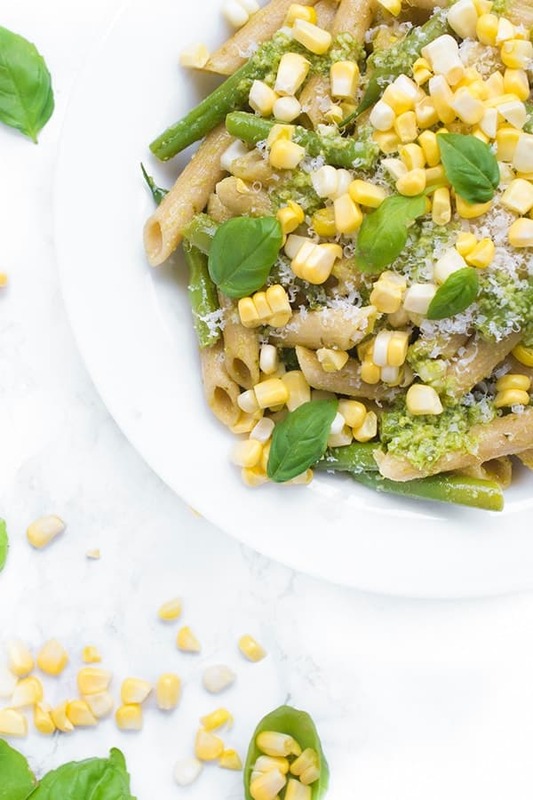 Right now my farmers market is overflowing with green beans and corn but this pasta recipe would be delicious with any number of fresh vegetable like zucchini, tomatoes, grilled eggplant and more. 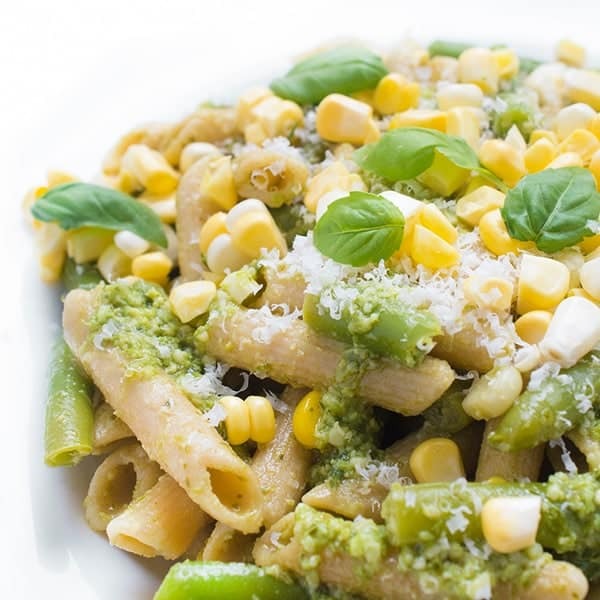 Extremely versatile, this pasta dish could be served warm with grilled chicken for a fast and easy dinner or served chilled as a picnic-ready side dish. 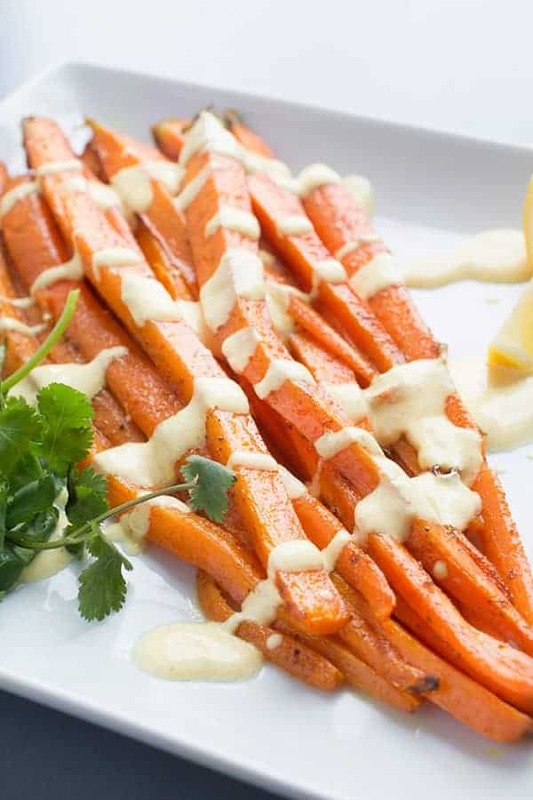 Ideal for making ahead of time, you can store it in the refrigerator for up to 5 days. Bring a large pot of salty water to a roaring boil and cook pasta according to package instructions. Add the green beans and corn to the pot 2 minutes before the pasta is estimated to be done cooking. 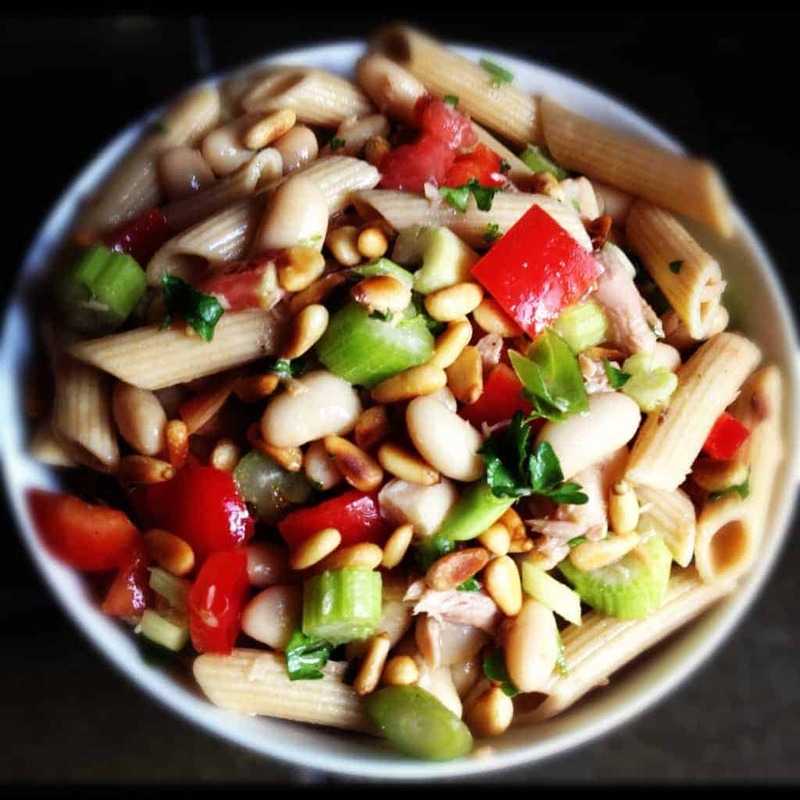 Drain the pasta, beans and corn in a strainer and place in a large bowl. Garnish with grated parmesan cheese to serve. 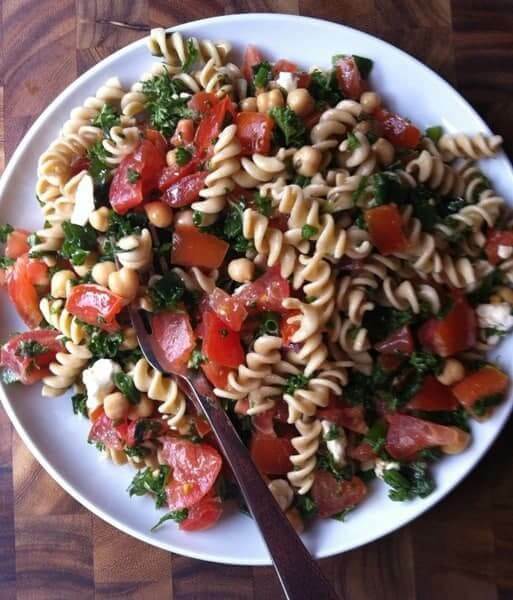 For more great salad recipes, check out my Pinterest Board! 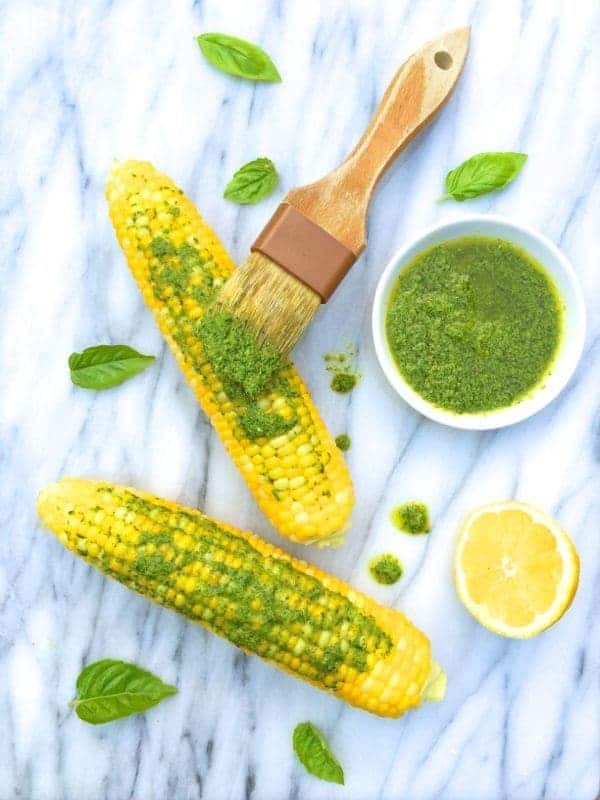 Want more tasty corn recipes? Check out these ideas! I have bookmarked it as it looks like a really good dish for a busy week as it is health and fast. This salad sounds great. I also like the idea of it with something like grilled eggplant. 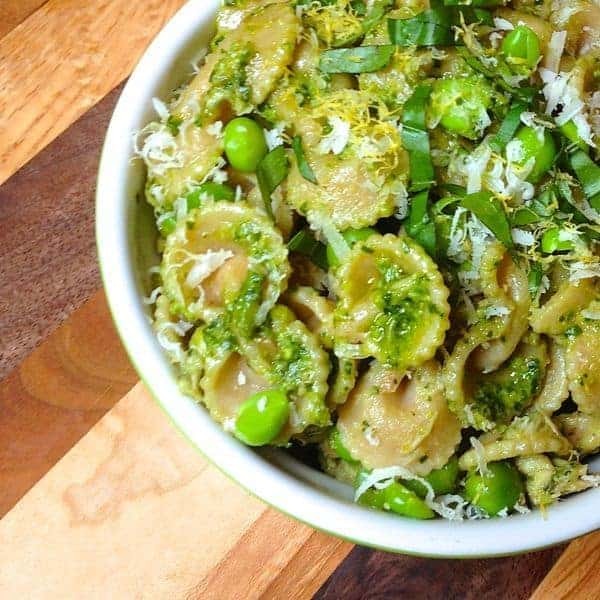 My husband might actually eat pesto this way if it is the dressing for a salad (he didn’t like it when I made green beans with pesto – said it was “too frilly”). Ahhh yes grilled eggplant would be a great addition! My husband loves grilled eggplant too – I might try it soon!